December | 2011 | Reserve Result. The international Isle of Man Tourist Trophy is the most dangerous motorcycle race in the world. At this annual racing event, countless riders loose their lives as they brave down a dangerous, rocket-course that requires a minimum of two-year training. 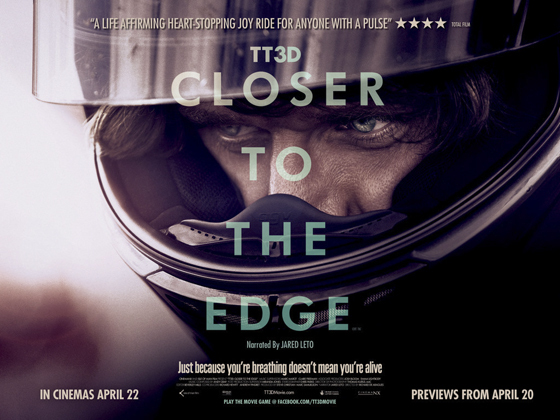 In the new documentary ~ TT 3D: Closer To The Edge ~ I had the privilege of watching Isle of Man Tourist Trophy course and its compelling racers including Guy Martin, whom I found entertaining and compelling. And even though, I was unable to comprehend Martin‘s accent and uttered words, I was fully-vested and didn’t care. The TT 3D: Closer To The Edge is a must-see film; especially, the action sequences which had my eyes glued to every frame from moment-to-moment. It was shot and released as a three-dimensional film, which only lend to the effects of motorcycles popping from the screen as the racers sped down the residential roads at the speed of 200 miles-per-hour —- as they flipped wheelies and burst into death-defying flames. Warning: People f***ing die in International Isle of Man TT, so it’s obviously not for the faint of heart. Synposis: The Isle of Man Tourist Trophy is the greatest motorcycle road race in the world, the ultimate challenge for rider and machine. It has always called for a commitment far beyond any other racing event, and many have made the ultimate sacrifice in their quest for victory. A story about freedom of choice, the strength of human spirit and the will to win. It’s also an examination of what motivates those rare few, this elite band of brothers who risk everything to win. The vision of top commercials director Richard de Aragues, this promises to be one of the most thrilling films of 2011. Director Richard De Aragues’s Isle of Man Tourist Trophy is out on DVD and Blu-Ray with the narration of Jared Leto and starring Guy Martin, Ian Hutchinson and John McGuinness. Artist Mr. Brainwash [MBW] hosted a preview reception of Art Show 2011 for his fans, artlovers and collectors on Thursday, December 22 at 960 N. La Brea Avenue in Los Angeles, California . The reception was packed – with awaiting fans in lines that stretched around the corner. The Art Show 2011 will officially open on Sunday, December 25 at 2:00pm. During the Art Show 2011 preview opening, Mr. Brainwash was constructing an installation of vintage-typewriters tower on the second-floor in front of a live-audience, and then proceeded to the first-floor to sign posters, greet the collaborative street-artists and pose for fan photos. The first 300 visitors on Thursday, December 22 were given a ticket for a numbered, hand-finished, thumb-proof, special-edition print by MBW. Art Show 2011 opens on Sunday, December 25 and will remain on view ’til Thursday, December 29. 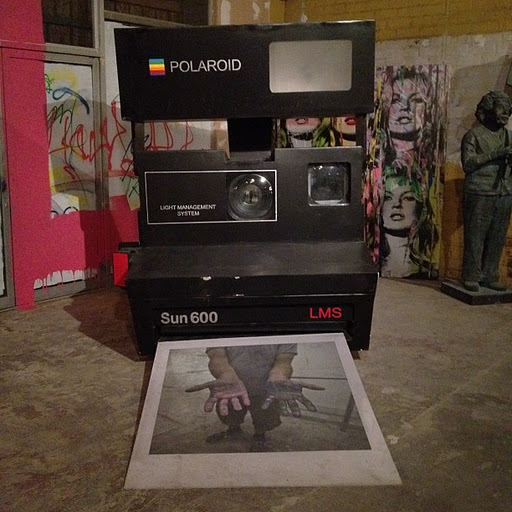 Mr. Brainwash might extend the exhibition through January 2012. For more information on Art Show 2011 – visit MrBrainwash.com and ArtShow2011.com. Artist Mr. Brainwash [MBW] is opening a new exhibition ~ Art Show 2011 ~ on Sunday, December 25 at 960 N. La Brea Avenue in Los Angeles [California 90038]. There will be a special preview on Thursday, December 22 at 7:00pm – which you must rsvp@mrbrainwash.com. We saw a sneak peek of Art Show 2011, and Mr. Brainwash reiterated that the first 300 visitors on Thursday, December 22 at 7:00pm will receive a numbered, hand-finished, thumb-proof, special-edition print and signed by MBW. Art Show 2011 will officially open on Sunday, December 25 and remain on view until Thursday, December 29. 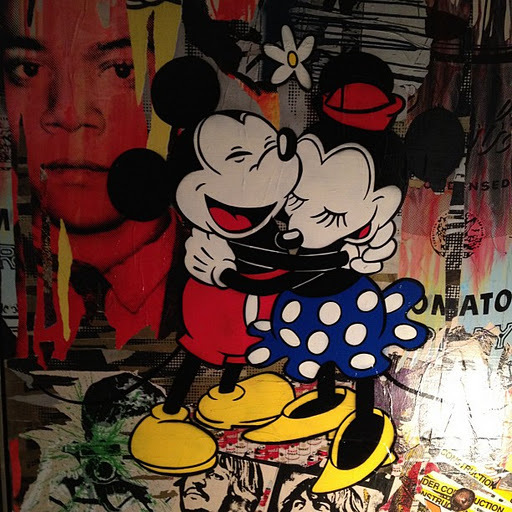 Mr. Brainwash could extend the exhibition through January 2012. There were 26 finalists in the video portion of the Face Off competition at Smashbox Studios. And although all of their shorts, music videos, and animations were great, the judges still had to narrow it down to their top 3. Davis Factor [co-founder of Smashbox], Guy Oseary [Rock Paper Photo], Brian Bowen Smith [photographer], Rick Callahan, Steve Carr [director], Justin Tyler Close [The Lab Magazine], Dee Delara [Smashbox Studio], Greg Garry [Complex Magazine], Stephen Kamiguji [Genlux Magazine], Albert Kodagolian [Director], Rocky Morton [director], Mathias Vriens McGrath [photographer], Ettore Zuccarelli [EZ Productions], and Kimberly Brooks [painter] chose an eclectic ensemble of winners, which you can view below in addition to my favorite video, which unfortunately didn’t make the cut even though it has well over 125,000 hit on youtube – granted it does have the advantage of being a music video by the rad band LOW and features every girl’s celebrity crush John Stamos. For its first show ever, Katherine Cone Gallery had a retrospective of Billy Al Bengston’s paintings from 1958 until now. Most of the work was huge and if you studied some of the pieces carefully, you can make out the details of an orchid smack dab in the center of several paintings. The opening was full of real collectors – something that’s rare at most of contemporary exhibits. And I spotted a collector walking around the gallery with a puppy – which I’ve heard is a good luck sign. Katherine Cone was the former Director of Subliminal Projects in Echo Park and now has the exciting position of having complete control and access of her own gallery – in the heart of Culver City. P.S. : Billy Al Bengston is 77-year old and owns a cooler website than most tech-savvy kids that grew up in this internet era. The American Film Institute [AFI] today announced the official selections of AFI AWARDS 2011 – the awards season event favored by artists and entertainment executives for its intimacy and collaborative recognition – that records the year’s most outstanding achievements in film, television and other forms of the moving image arts. AFI will honor the creative ensembles for each of the selections at an invitation-only luncheon on Friday, January 13, 2012 at the Four Seasons Hotel in Los Angeles, California. Wild girls in layers of makeup and elaborate dresses flooded the gallery when the model-turned-Youtube sensation Kyary Pamyu Pamyu began singing her hit song PonPonPon at the launch party for the Rune Boutique pop-up shop at Royal/T. However, tragedy struck when the CD that Pamyu was lip-syncing to began to skip and instead of freaking out she handled it in the cutest way possible – striking a Kawaii pose until everything was fixed. After she and her backup dancers finished their set, the production crew reset the stage so that the electrifying Japanese fashion line %6DOKIDOKI could begin its runway show, which culminated in a grand finale of this monster coming onstage and dancing with all the models. The whole night had already felt like an acid trip by this point, so when I spotted Ninja and Yolandi from the band Die Antwoord in the VIP room my brain just near exploded. If you get a chance to make it out to Culver City to visit the Rune Boutique pop-up shop, you’ll be enamored by 6%DOKIDOKI’s clothes, MEDICOM’s toys, and original art by Rune Naito – one of the originators of the Kawaii movement in Japan.